Botswana at a Glance | Embassy of the Republic of Botswana in Washington, D.C. Elections: Held every 5 years. Next election will be in October 2019. Since independence in 1966, Botswana has been a nation-state of good governance, with free and fair elections involving a number of political parties held every five years. There is respect for the rule of law and the Judiciary is independent from influence of the Executive and Legislative branches of Government. The laws of Botswana guarantee, inter alia, individual and group freedoms of expression, association and property ownership. Botswana’s economic progress since independence is one of the few success stories of the African continent. In 1966 Botswana was one of the 20 poorest countries in the world with a per capita income equivalent to US$80. The country now has a per capita income of approximately US$3,200. There were only 3 secondary schools in 1966. Today there are over 300 secondary schools. All children born in Botswana are guaranteed 10 years of free education. 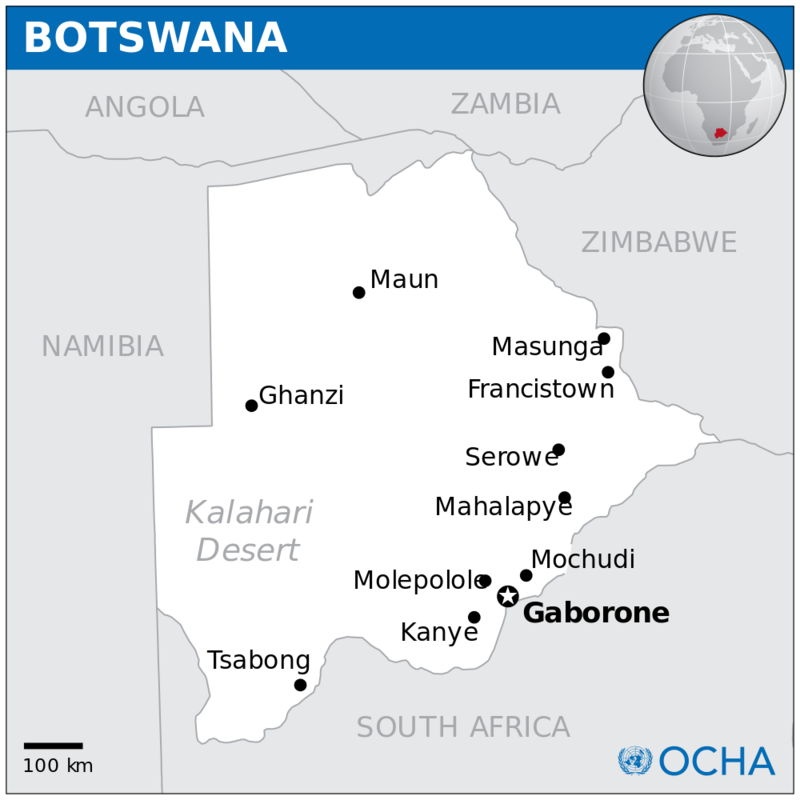 No citizen of Botswana is more than 18 miles from a health care facility. Thirty six years ago Botswana had only 6 kilometres ( 4 miles) of paved roads. The country now is boasted by a network of modern roads covering an area over 7000 kilometres. Much of Botswana’s economic success is attributed to good and accountable leadership, prudent management of resources, especially revenue earned from diamond exports. Indeed Botswana is one of the few countries where the endowment of such precious natural resources such as diamonds never led to internal rifts over ownership of the mines, the marketing of production from the mines or how to spend the money earned from the gemstones. The Government invested wisely in the education, health, clean water and telecommunications sectors to create a better standard of living for its citizens and more importantly to foster a conducive environment for free enterprise to prosper. The fiscal and monetary policies of the Government of Botswana are designed towards maintaining growth with social justice. Botswana’s good environment for business has been recognized by international credit rating agencies. Both Moody’s and Standards & Poor have awarded Botswana a sovereign credit rating in the A category. Transparency International continues to recognize Botswana for having the least corrupt system in Africa (you can click www.gov.bw & www.botswana-tourism.gov.bw for more information).